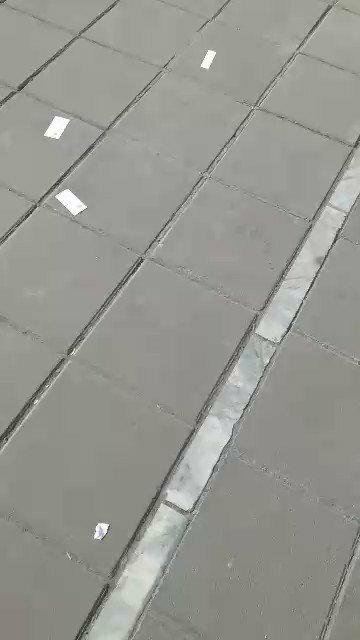 Activists reporting apparently another brave woman taking off her scarf in public, possibly in the same location where #VidaMovahed staged her protest to compulsory hijab. 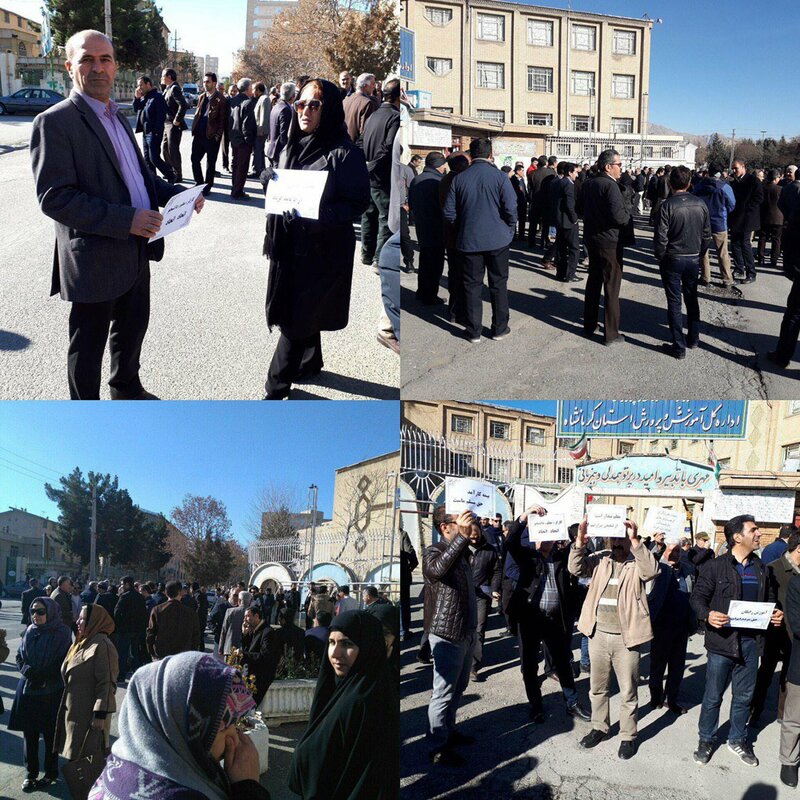 #IranProtests are continuing, despite regime's crackdown. 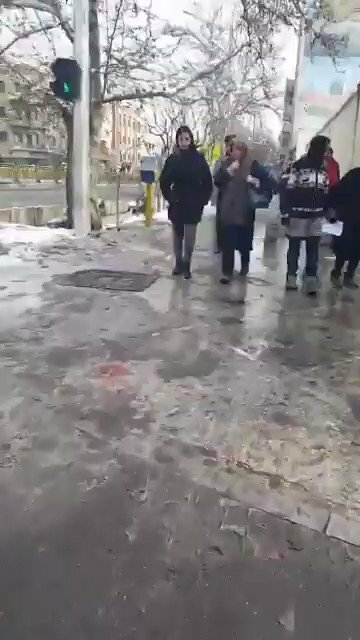 Another image of apparently the latest brave woman taking off her scarf in public, possibly in the same location where #VidaMovahed staged her protest to compulsory hijab. More images of brave young women protesting compulsory hijab laws. This is the capital's Ferdowsi Square. More images of brave women protesting compulsory hijab laws. They no longer fear the repressive regime. Activists are calling them "The Girls of Enghelab Avenue," as their numbers are escalating. She is being described as the sixth "Girl of Enghelab Avenue." Activists posting more images of brave women protesting compulsory hijab laws in different areas of the capital. Even #Iran's young little girls are joining the campaign. 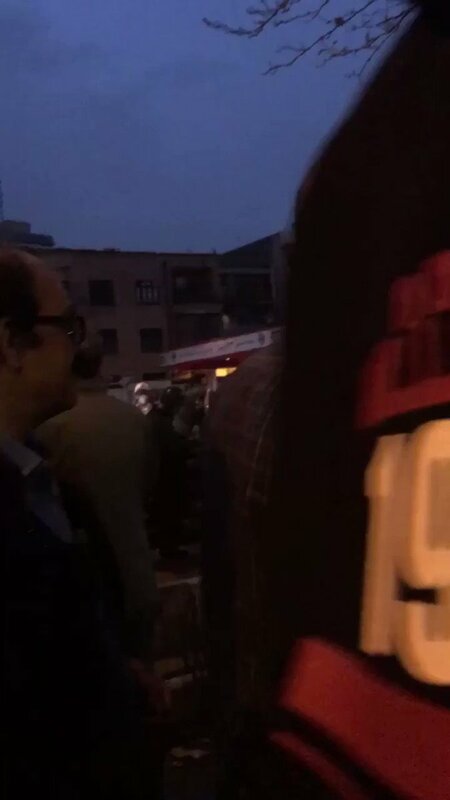 Activists are posting this image of Nargis Hosseini, who bravely took off her scarf in public to protest compulsory hijab, moments prior to her arrest. She must not be held in detention similar to #VidaMovahed. Activists are posting this drawing of #VidaMovahed & other #GirlsOfEnglelabStreet showing how #IranProtests will continue. 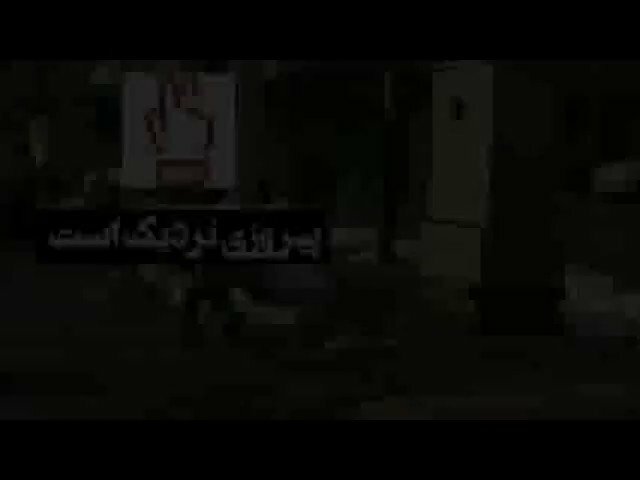 Activists posting this video expressing the plight of #Iran's brave women. 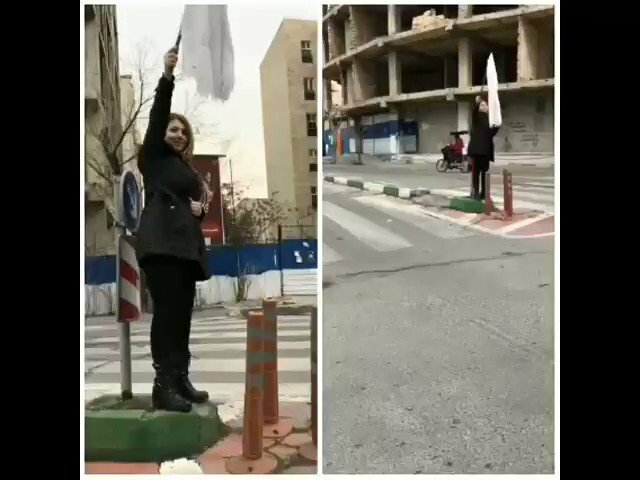 "I am the bursting volcano"
"My heart beats w/ the anger of thousands"
"I am half of this world, I shout that I can"
"Under their chains, I am today's revenge"
Intersection of Rasht St. & Vali Asr St.
Two brave women take off their headscarves protesting compulsory hijab laws. 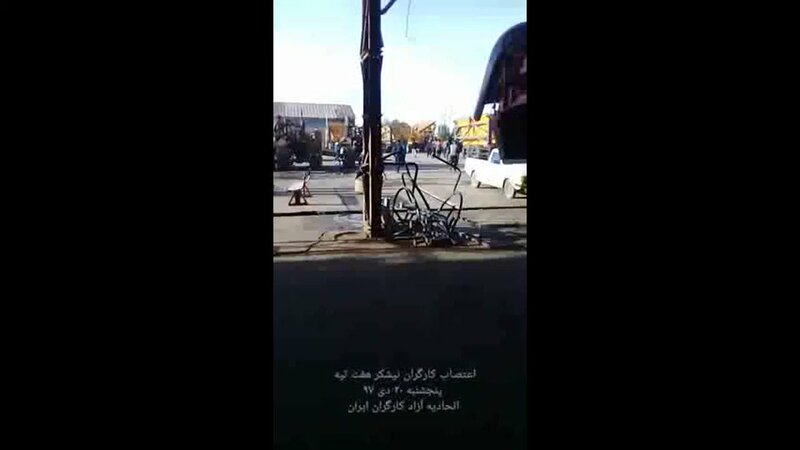 Activist posting image from Bandar Abbas, S #Iran, where people are seen hanging white scarves in solidarity with #GirlsOfRevolutionSt. 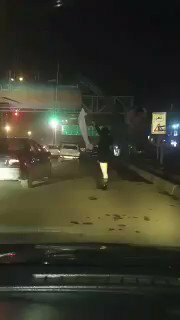 Intersection of Enghelab St. & Quds St.
Another brave woman (#GirlsOfRevolutionSt) takes off her headscarf protesting compulsory hijab laws. They no longer fear the oppressive regime. A young man, dubbed the "Boy of Revolution St," joins the anti-compulsory hijab campaign. When asked his name he answers, "My name is your name." 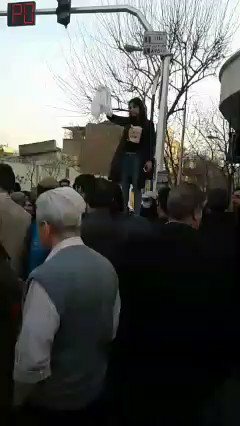 Another brave woman (#GirlsOfRevolutionSt) takes off her headscarf protesting compulsory hijab laws. 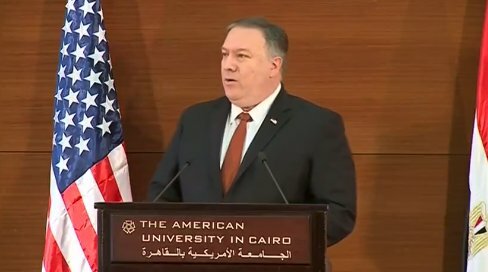 The regime can no longer oppress this growing movement. 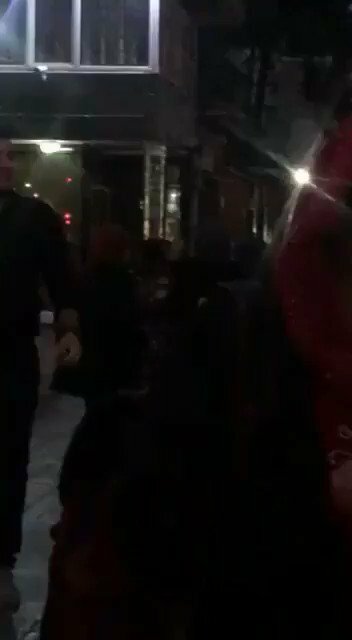 Activists are posting this video saying #Iran's #GirlsOfRevolutionSt are multiplying in numbers. 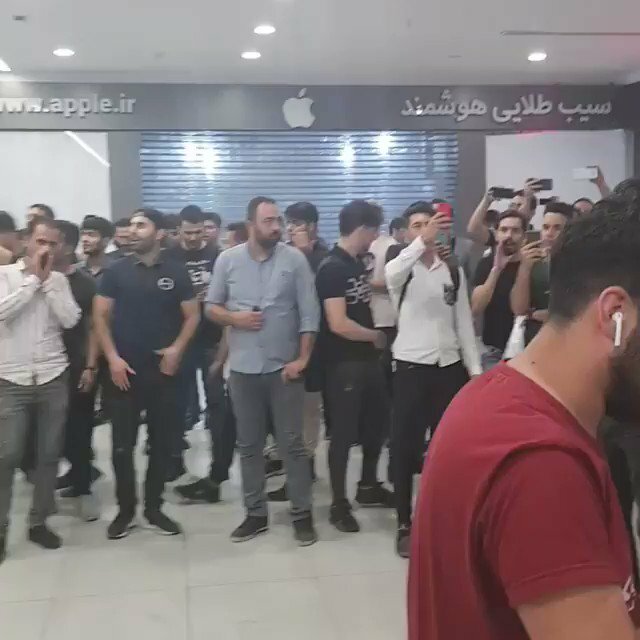 The regime can't oppress this growing movement. More brave women (#GirlsOfRevolutionSt) taking off their headscarves & protesting compulsory hijab laws. 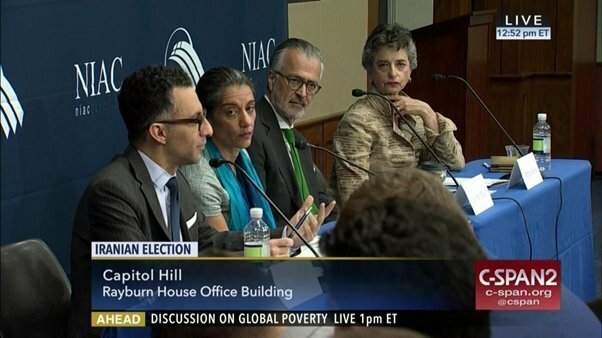 The regime can no longer oppress this growing movement. 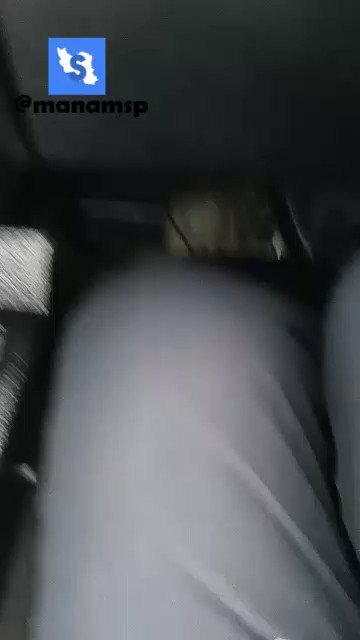 This German tourist takes off her headscarf, expressing support for the anti-compulsory hijab movement. 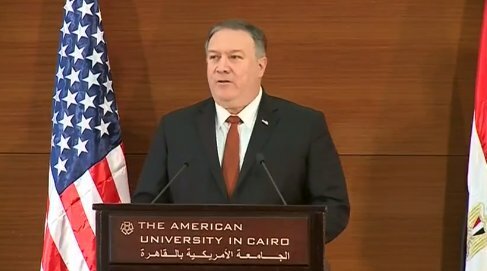 The regime can no longer oppress this growing movement. Another brave woman (#GirlsOfRevolutionSt) taking off her headscarf & protesting compulsory hijab laws. The regime can no longer oppress this growing movement. 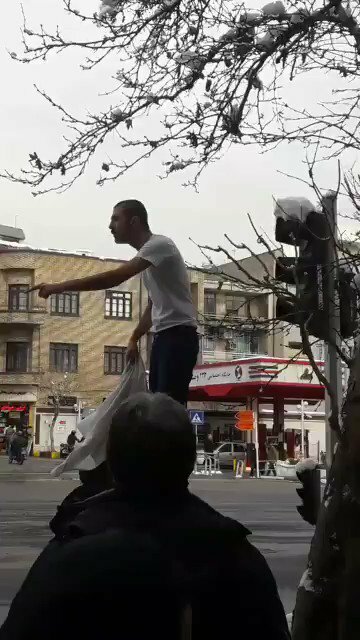 A brave young man expresses his support of Iranian women protesting compulsory hijab laws. 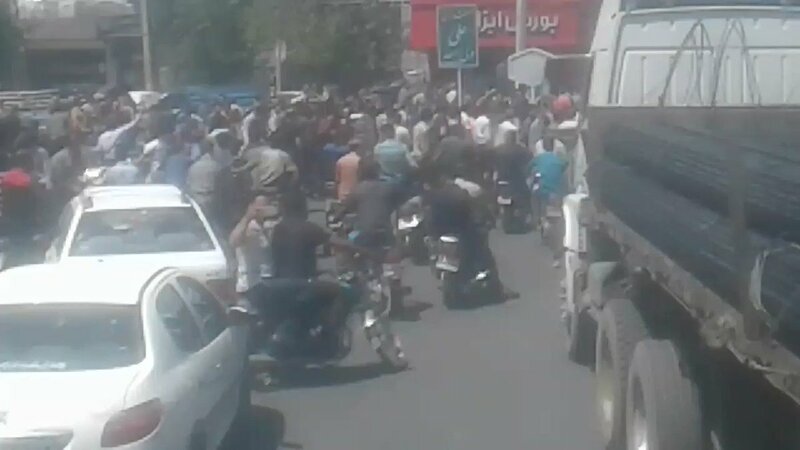 The regime can no longer oppress this growing movement. 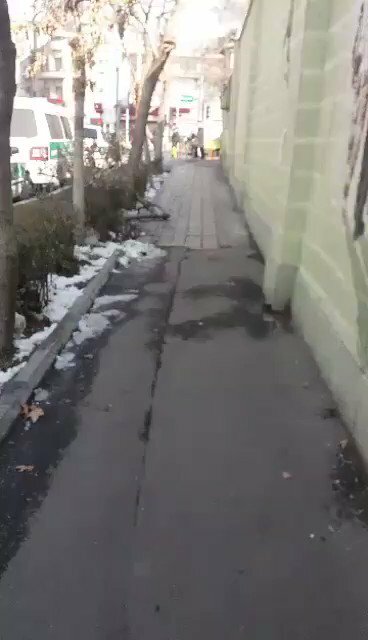 Activists posting video of a brave woman walking in public & broad daylight without the compulsory hijab, protesting the regime's unjust laws. 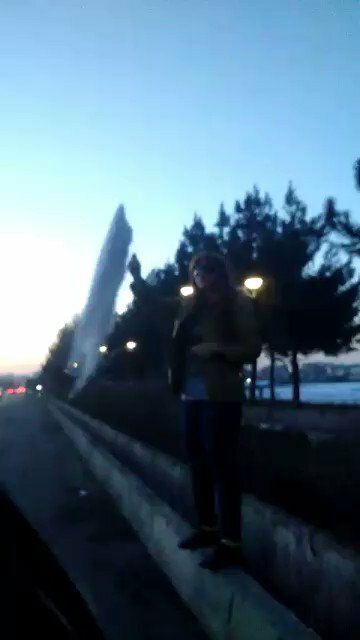 Activists posting video of a young woman protesting the regime's unjust compulsory hijab laws. This young man is expresses his support of #Iran'ian women protesting compulsory #hijab laws. #Iran's anti-compulsory #hijab campaign knows no age. 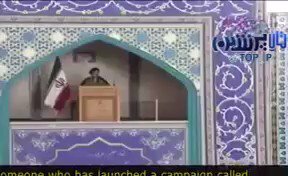 A brave old woman shows how this movement is growing and how the ruling regime is in its final days. And this is the response from #Iran's regime to the anti-compulsory #hijab protests. Authorities station numerous police vehicles at the site where the first #GirlOfEnghelabStreet protested compulsory #hijab. 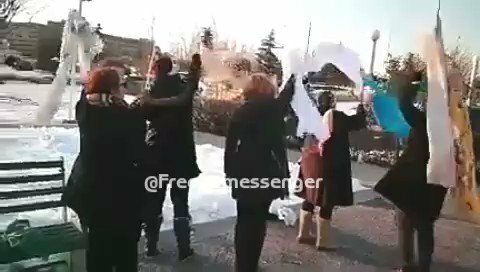 #Iran activists are posting this video of six brave women taking off their headscarves in public, protesting the mullahs' compulsory #Hijab laws. 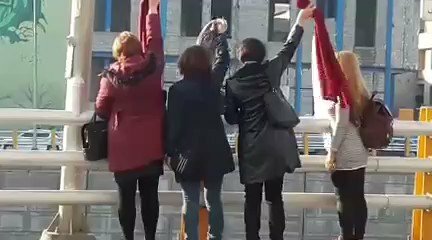 Four more brave women seen taking off their headscarves in public & showing victory signs, protesting the mullahs' unjust compulsory #Hijab laws. Brave woman seen taking off their headscarf in public, protesting the mullahs' unjust compulsory #Hijab laws. The work of Gunduz Agayev from Azerbaijan in support of #Iran'ian women protesting compulsory #hijab laws, rattling the very pillars of the mullahs' rule. 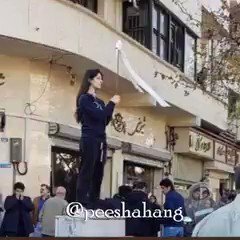 Another brave women takes off her headscarf in public, protesting the regime's compulsory #hijab laws. 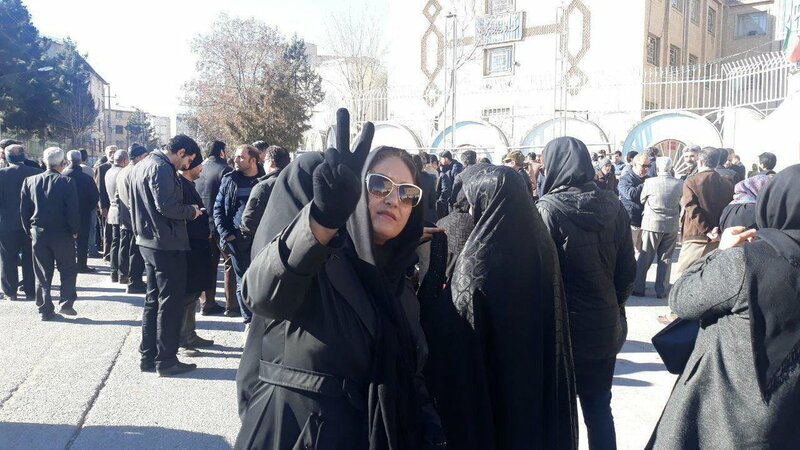 Activists say the difference between brave women who protest compulsory #hijab laws & such pro-regime figures is that these people cover their faces & are escorted by the same government vehicles that arrest those brave women. "Girl Of Enghelab St. is not one person. 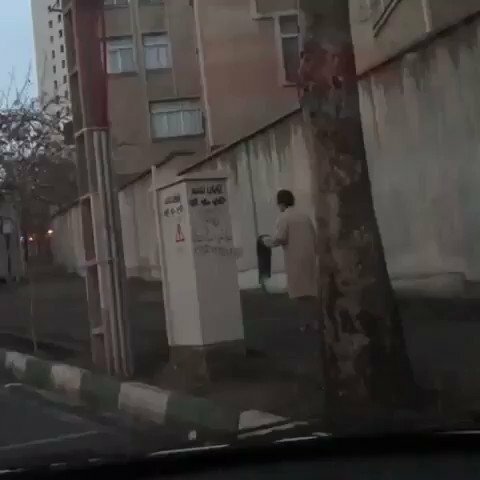 We are all Girls of Enghelab St."
In an utterly desperate effort by #Iranian officials against women taking off their head-scarves, authorities have literally jailed this utility box to prevent #Iran's women from climbing it to protest compulsory #hijab laws. This "jailed" utility box clearly shows how terrified the #Iranian regime is of increasing #IranProtests, seen in one way of women opposing compulsory #hijab laws. Another brave #Iranian woman protests compulsory #hijab laws. 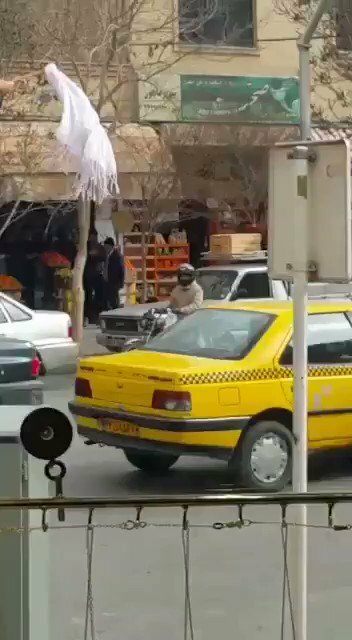 Footage shows authorities arresting another brave #Iranian woman protesting compulsory #hijab laws. 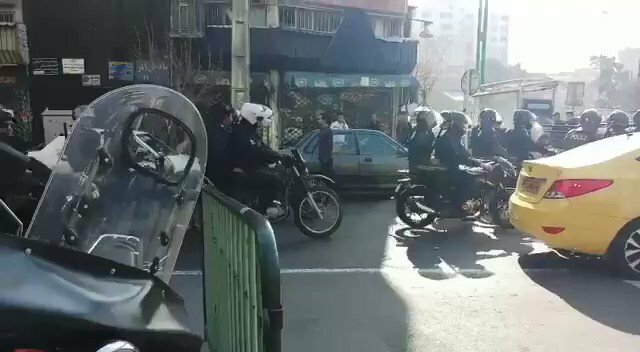 More footage of authorities arresting another brave #Iranian woman, Azam Jangrudi, after protesting compulsory #hijab laws. Azam Jangrudi is the latest #Iranian woman protesting compulsory #hijab laws. 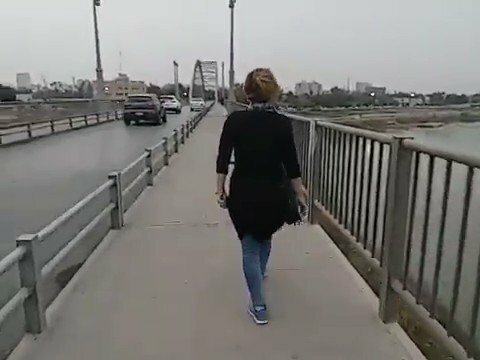 "The likes of this girl we'll send to Mashhad & gift-wrap to our Iraqi brothers with just $7... this is what Iranian girls deserve"
Another brave woman protests compulsory #hijab laws by walking without a headscarf in public. Reports indicate Azam Jangravi, arrested for protesting compulsory #hijab laws, has been released. Leyla Mirghafari (#لیلا_میرغفاری) is seen here with a broken lg as authorities resorted to using force during her arrest. Another #GirlOfEnghelabStreet was arrested today after bravely protesting compulsory #hijab laws. 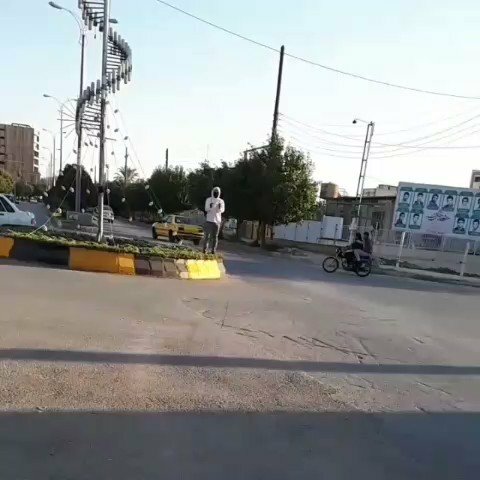 This is how terrified authorities are of brave women climbing utility boxes & taking off their headscarves to protest compulsory #hijab. Welding a sloped roof on the utility box to prevent anyone from standing on top of it. Authorities are welding sloped roofs on utility boxes to prevent #GirlsOfRevolutionStreet from climbing up & taking off their headscarves to protest compulsory #hijab. 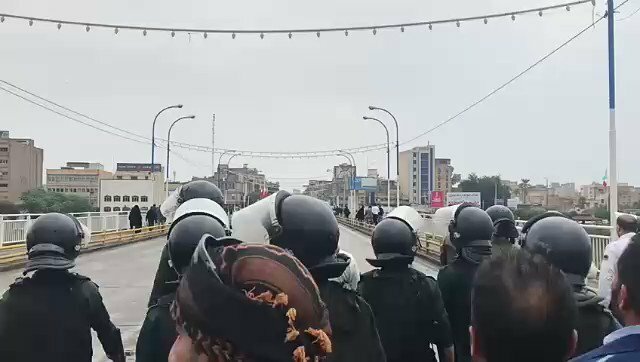 More scenes of state police resorting to force against another brave woman taking off her headscarf in public & protesting compulsory #hijab laws. The exact moment when a member of the state police pushed off another brave woman taking off her headscarf in public & protesting compulsory #hijab laws. This brave woman stands in the face of state police refusing to obey any unjust orders & continues her protest against compulsory #hijab. 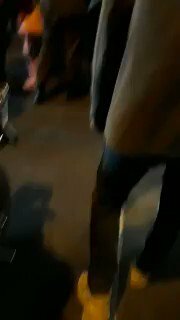 Activists are posting this video to identify the police officer who shoved this brave woman to the ground as she continued her protest against compulsory #hijab. Bystanders were able to stand against the police and free this brave woman who protested compulsory #hijab laws. 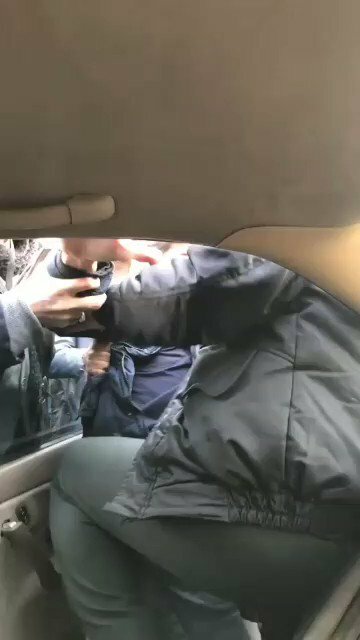 Activists are posting the still image of this police officer who shoved a brave woman to the ground as she was protesting compulsory #hijab laws. 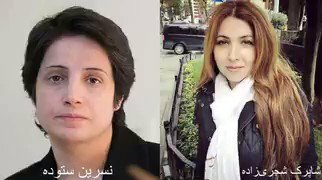 Nasrin Sotudeh: Shaparak Shajarizadeh (R), who protested compulsory #hijab in Tehran's Gheytarieh St., has been beaten in custody. 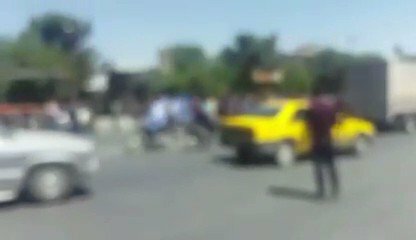 Activists are reporting the police officer who shoved off the latest #GirlsOfRevolutionStreet women protesting compulsory #hijab has been identified as "Ali Akbar Gharaee." Activists are posting this image (unverified) of #Iran's #GirlsOfRevolutionStreet protesting compulsory #hijab laws, emphasizing #IranProtests will continue. Image of #Iran's latest #GirlsOfRevolutionStreet wounded during her interrogation. Elderly woman seen taking off her headscarf and protesting compulsory #hijab laws. Friday prayer imam says #GirlsOfRevolutionStreet protesting compulsory #hijab are "hypocrites" & worse than "disbelievers." He calls for repressive measures, saying they should be arrested & not easily released. #Iran activists posting this image of a utility box where authorities first had sleep tops welded to prevent #GirlsOfRevolutionStreet climbing & protesting compulsory #hijab, & now people have provided a new structure to counter their measures. This cartoon vividly shows how #Iran's authorities have to prevent not only #GirlsOfRevolutionStreet but all #IranProtests from establishing on any utility box, rooftop and/or street of this country. 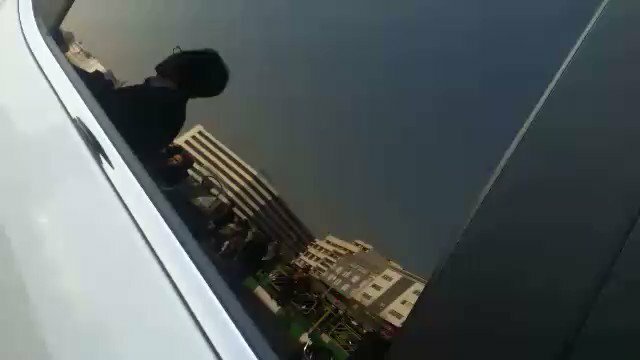 Hamraz Sadeghi (#همراز_صادقی) climbed a utility box near Tehran's Ferdowsi Square protesting #Iran's compulsory #hijab laws. She was pushed off by plainclothes agents, broke her leg & was subsequently arrested. One of the three men who prepared this platform for #Iran's #GirlsOfRevolutionStreet says wherever such women take off their headscarf people should protect them from anyone trying to push them down. Another #GirlsOfRevolutionStreet seen here protesting compulsory #hijab laws. 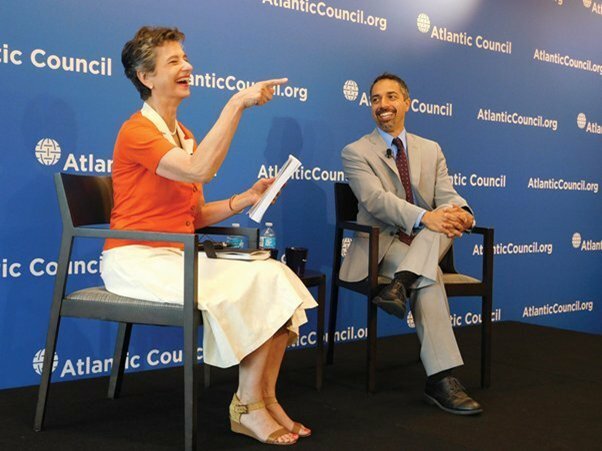 Let’s talk about an upcoming @AtlanticCouncil event to be hosted by @barbaraslavin1, a die-hard #Iran regime apologist/lobbyist, seeking to literally celebrate the 40th anniversary of a ruthless regime in Tehran. 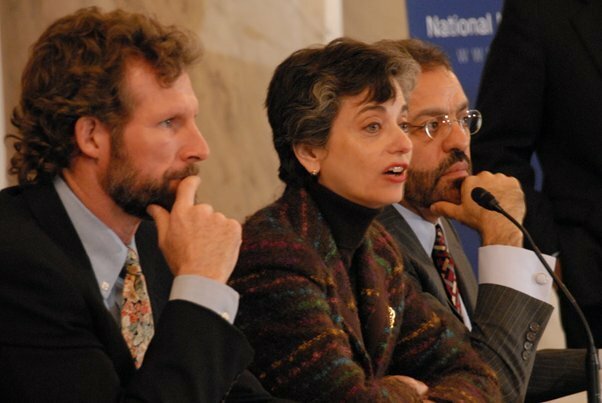 Let’s first get to know the host of this event, @barbaraslavin1. 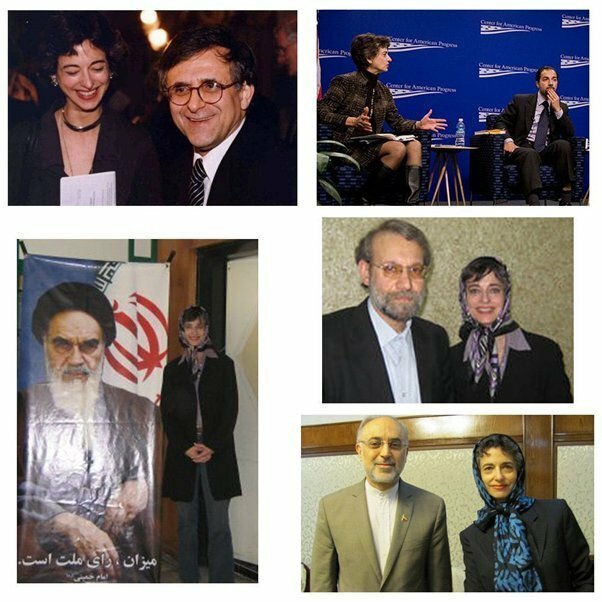 She blocked me for reminding everyone about her being an #Iran regime apologist/lobbyist & showing images of her alongside senior Iranian officials. 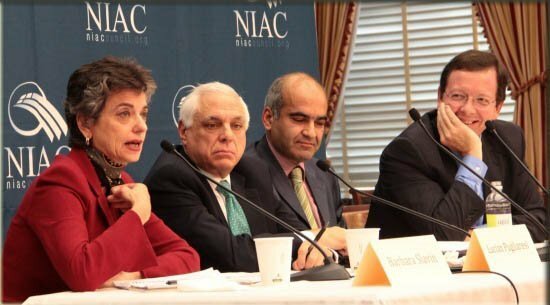 @barbaraslavin1’s relations with @NIACouncil, the #Iran regime lobby group in the U.S., is completely obvious. 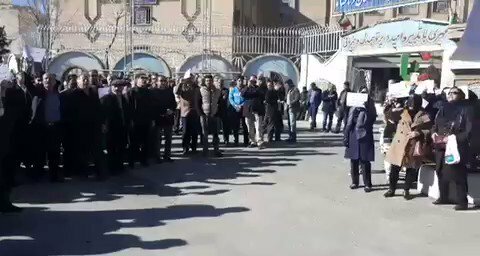 "We'll stand up & we're willing to die, (but) we'll get our rights" - chants during #IranProtests, Nov 24. 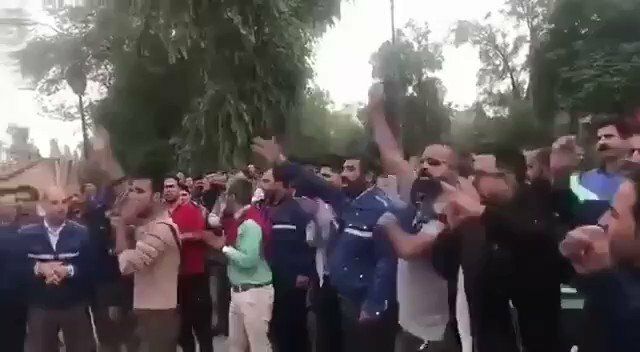 Today #Iran's steelworkers in Ahvaz overcame a police crackdown on their march for overdue wages. 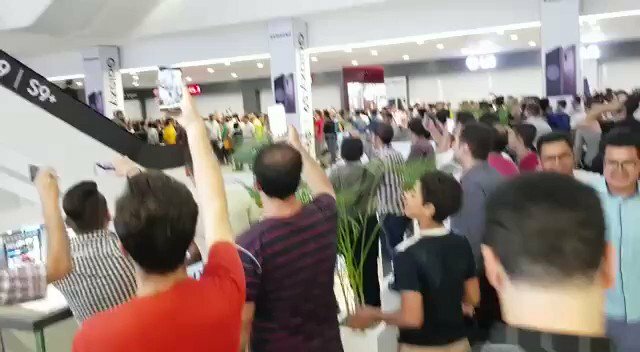 Here's what they're chanting in #Iran today: "Victory is close. 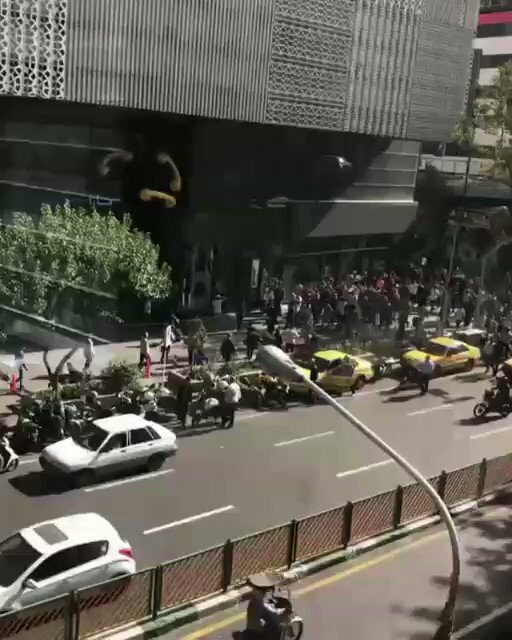 Death to this deceptive government"
#IranProtests in Tehran today over the currency plunge against the US dollar. 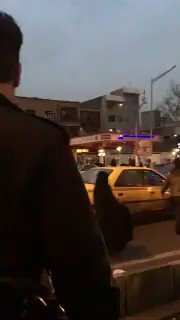 In this scene ppl are chanting that the Charsou Bazaar must be shut down. 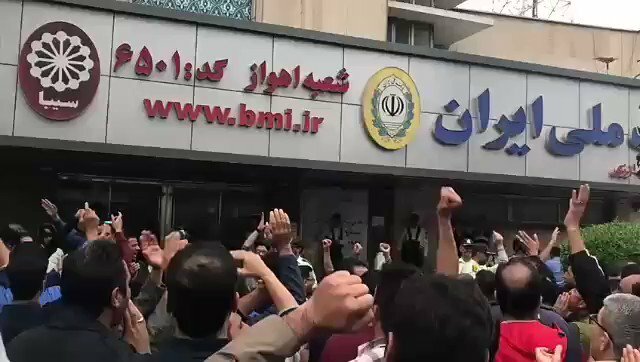 There's huge public anger over regime's economic mismanagement. June 30 #FreeIran2018 convention in Paris to support Iran's ppl. 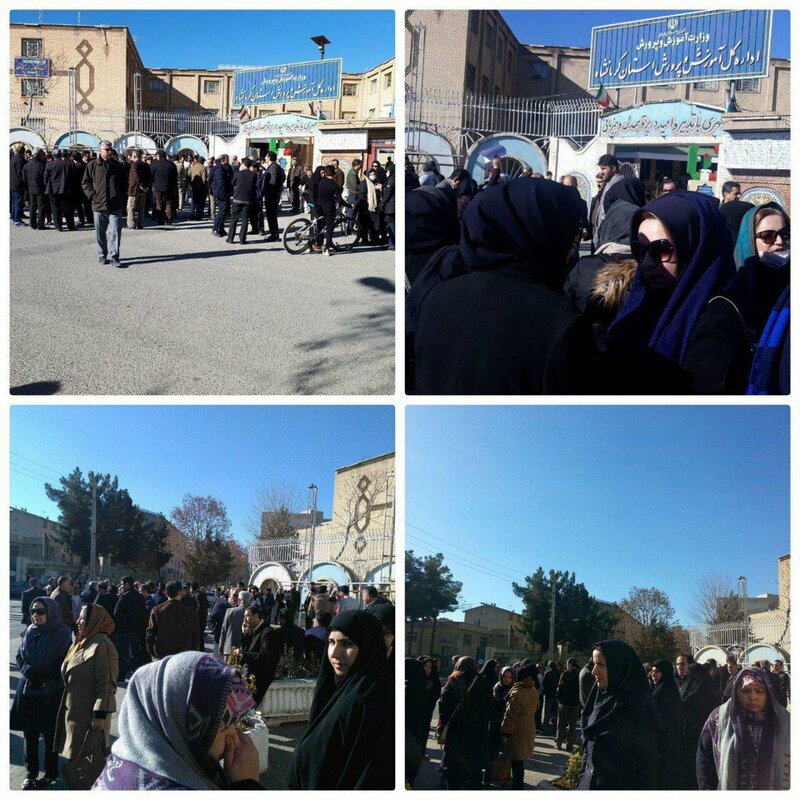 Despite attempts of Islamic regime for holding "9-dei" counter-protests, Iranian people in #Tehran have started their protests against corrupted Shia clerics and authorities of the regime. 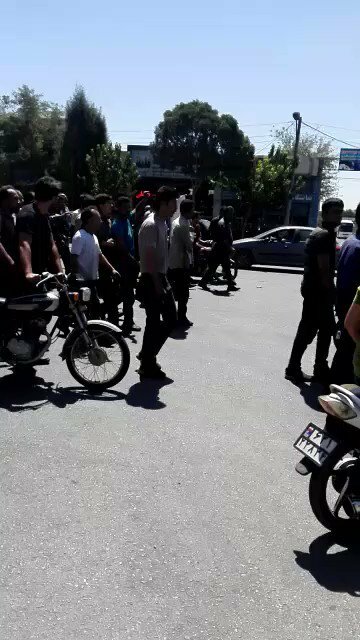 Islamic regime Police forces in Tehran, Iran's largest city are hopelessly trying to disperse Iranian protesters. 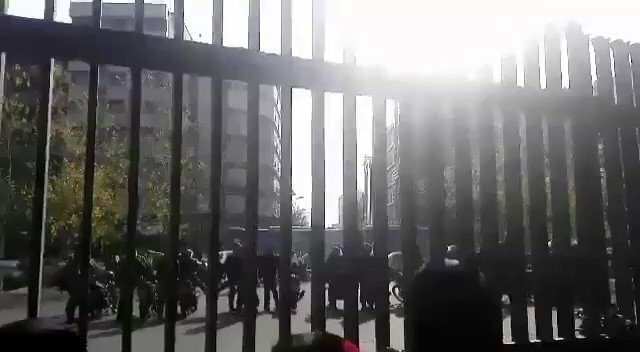 #Tehran's university students are chanting slogans against both reformists and conservatives of Islamic regime of #Iran defying the whole regime now.